A day at Kinder Academy starts from 7.30 am and ends at 4.30 pm. In a learning day, children join in a special program with many interesting activities including drawing, gardening, cooking, yoga practicing, learning music & dancing, English session and STEM class. 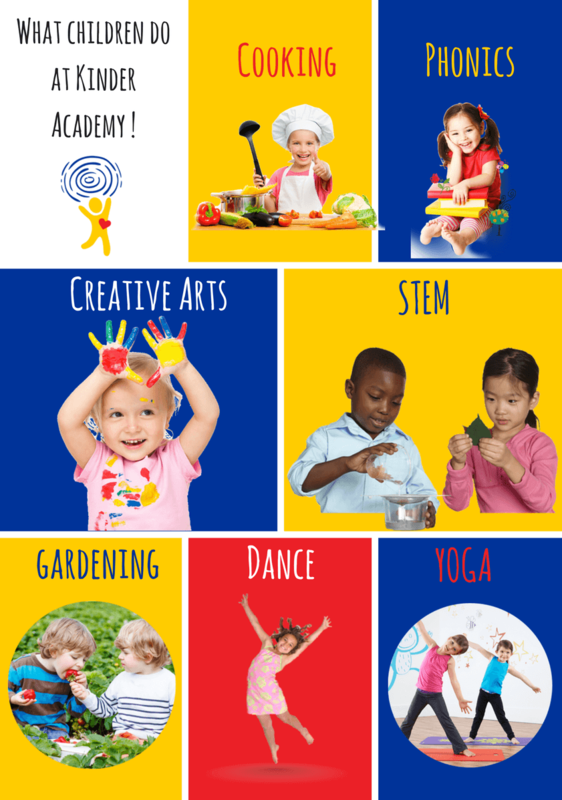 To receive Demo Schedule of a learning day at Kinder Academy, please send your registration to our email or call us!